The Affordable Care Act (ACA), the health reform law that was enacted in 2010, is expected to greatly expand access to stable and affordable insurance coverage for millions of Americans. Extensive research has documented that insurance matters; people with insurance coverage are less likely to report going without necessary care due to inability to pay and are more likely to report positive health outcomes than people who are uninsured.1 Young gay men, however, are a population with distinct needs that has rarely been the focus of attention for the health system. They may be among the least likely to automatically translate having insurance coverage into receiving consistent, high quality medical care. Therefore, focused efforts are needed to explain the importance of health coverage, facilitate enrollment in coverage, address structural barriers to care, and support their engagement with the health system once they obtain coverage. 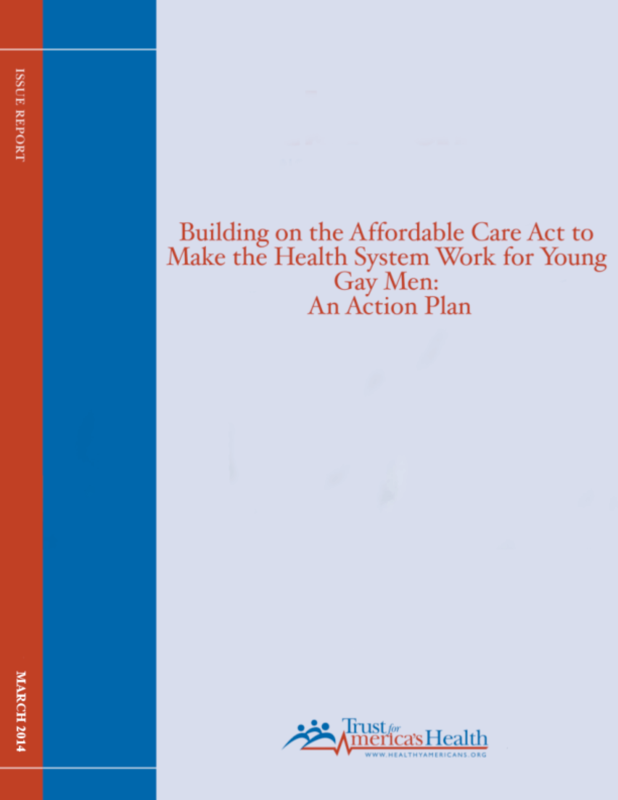 With the ACA developing new systems of care and new ways of paying for services, there is a fresh opportunity to examine key aspects of the healthcare delivery system to ensure that it is designed to facilitate good care and improved health outcomes for program beneficiaries and health plan enrollees. Indeed, the ACA includes several key provisions that create new protections and new opportunities to more proactively meet the needs of lesbian, gay, bisexual, and transgender (LGBT) individuals, including important protections against discrimination on the basis of sexual orientation and gender identity. Copyright 2014 Trust for America's Health.